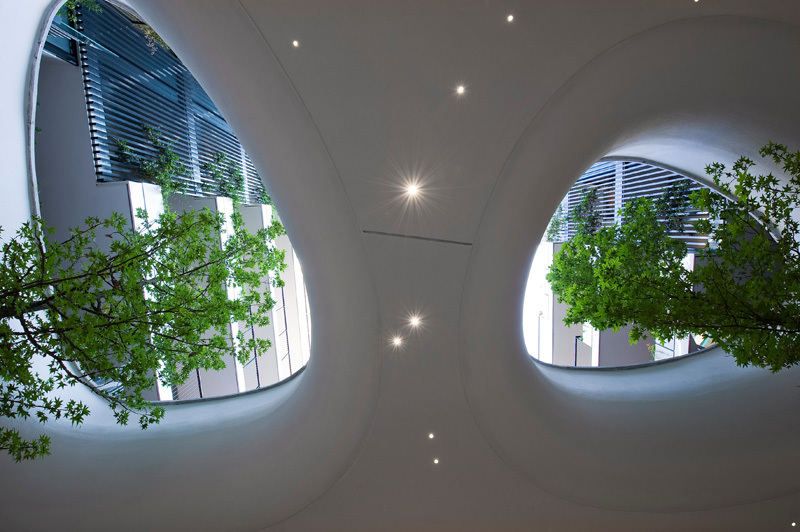 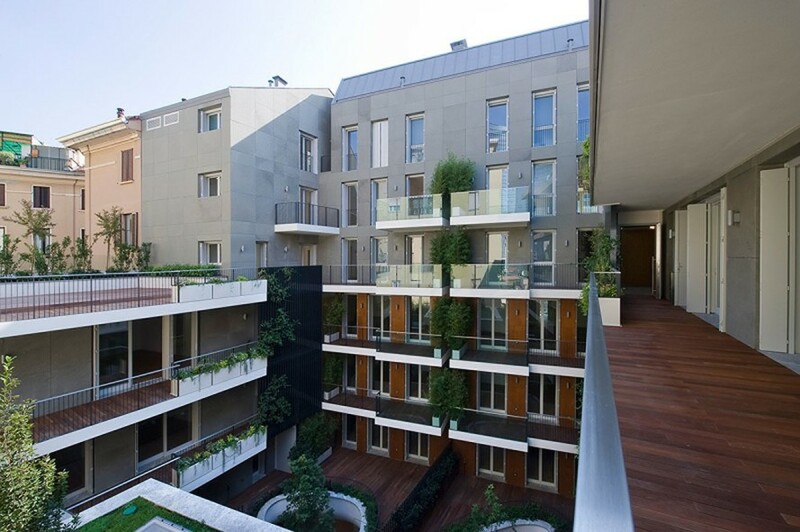 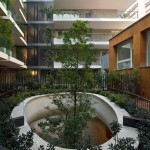 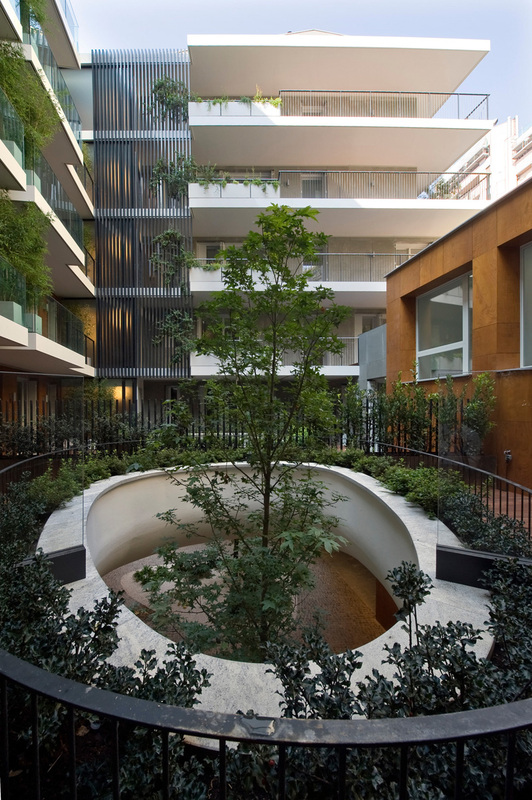 Westwood Architects have renovated a 19th century building in Milan creating an unusual suspended garden in its courtyard to divide commercial and residential spaces. 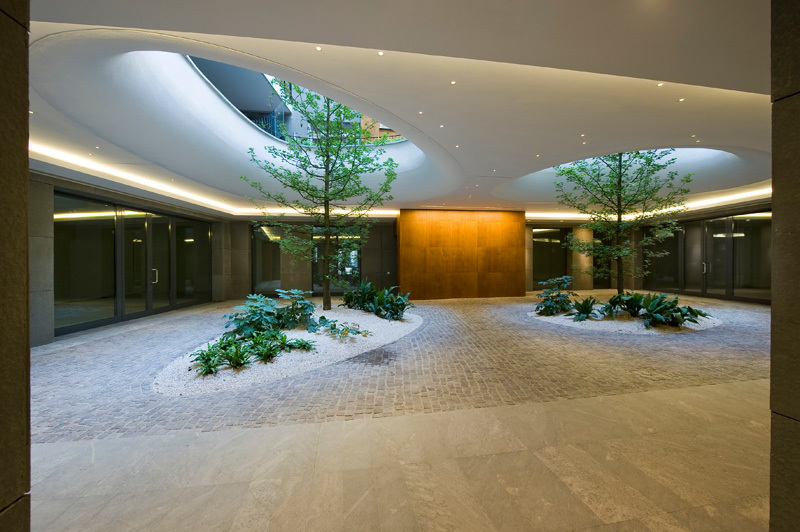 The floor between these spaces features two rounded openings that allows tall trees grow up and extend to the higher floors, they also aĺlow plenty of natural light to the lower ones. 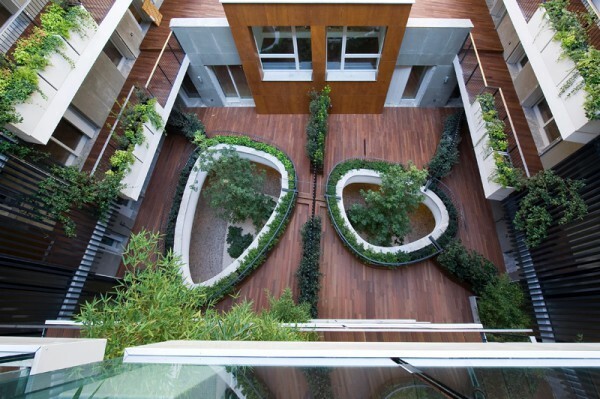 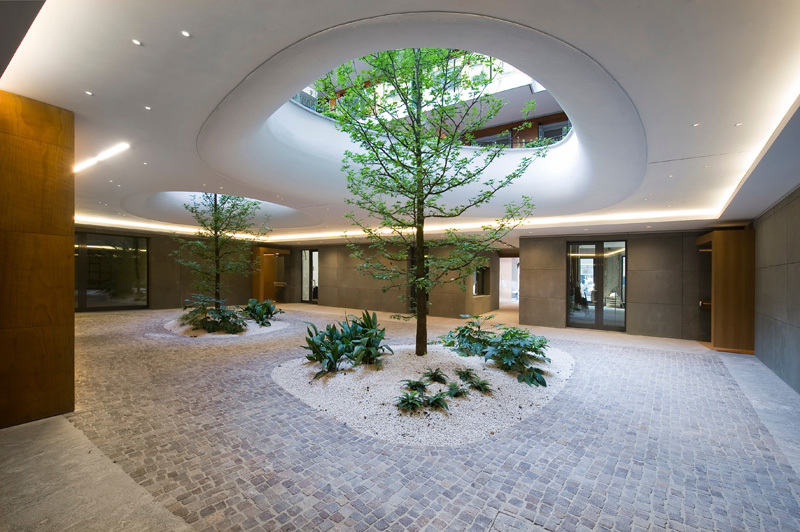 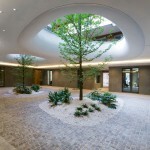 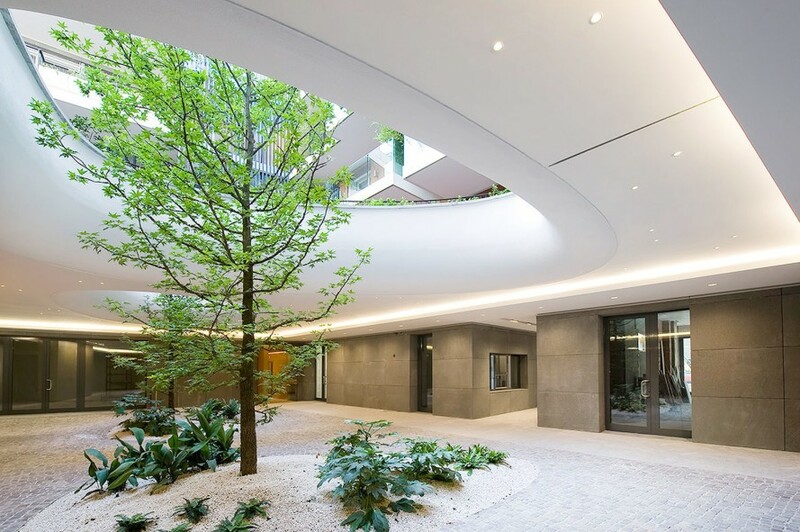 The courtyard itself has created two types of spaces, a wooden terrace with some planted greenery and a stone floor courtyard with two trees surrounded with white pebbles and a few small plants. 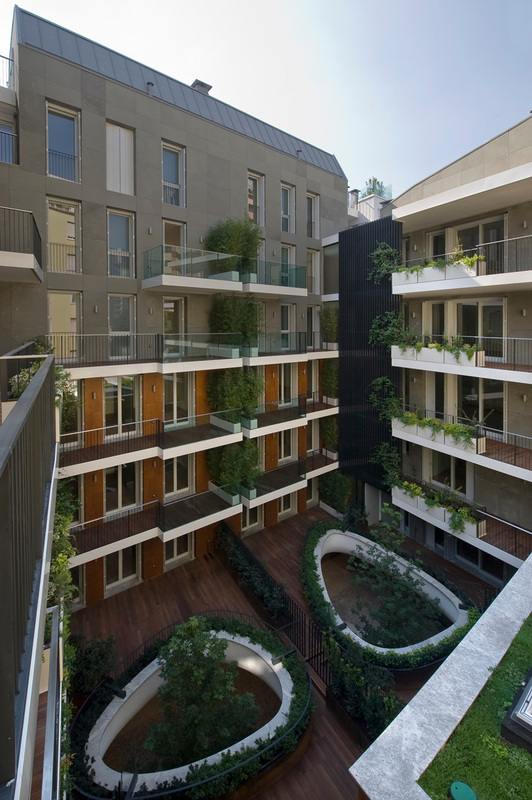 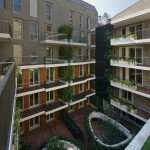 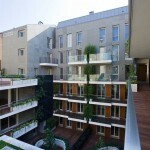 Some of the residences it seems have an access to the terrace, which is divided in the middle by a short metal fence. 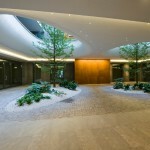 The ground floor where the commercial amenities are is lit with ambient lighting and bulbs that are built into the ceiling. 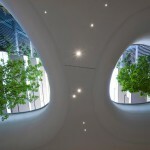 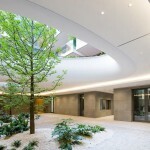 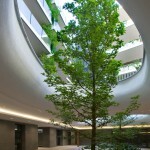 This isn’t the first time architects build around the trees or incorporate them into the building’s structure/interior. 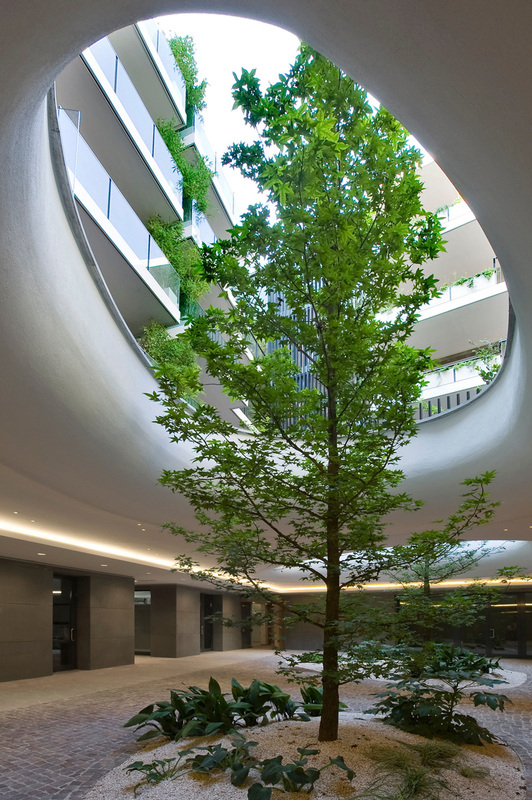 More and more architects decide to keep the trees that grow on site and accept the challenge of designing and building around them.